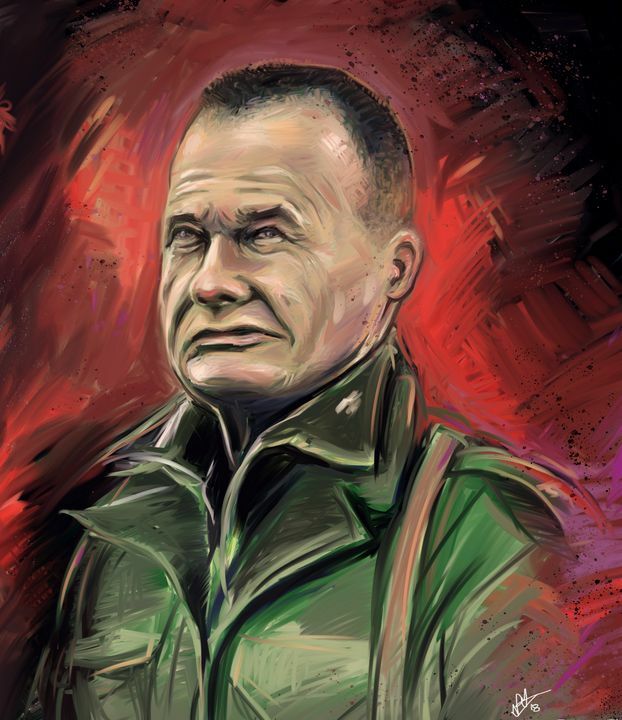 One of a kind painting of Chesty Puller by inkstickart. 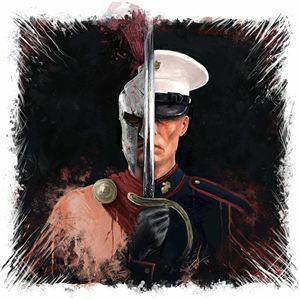 Elize McKelvey Graduated from the Art Institute of Boston at Lesley University in 2012 taking with her a Bachlors degree of Fine Arts in the study of Illustration. Upon receiving her diploma she shipped off on a 6 month journey through the United States Marine Corps bootcamp to earn the title Marine. She now works as a Combat Camera Illustrator and reproduction specialist creating and upholding the Marine Corps tradition of combat art.